The largest warship ever built in the UK is due to set sail for the first time today. 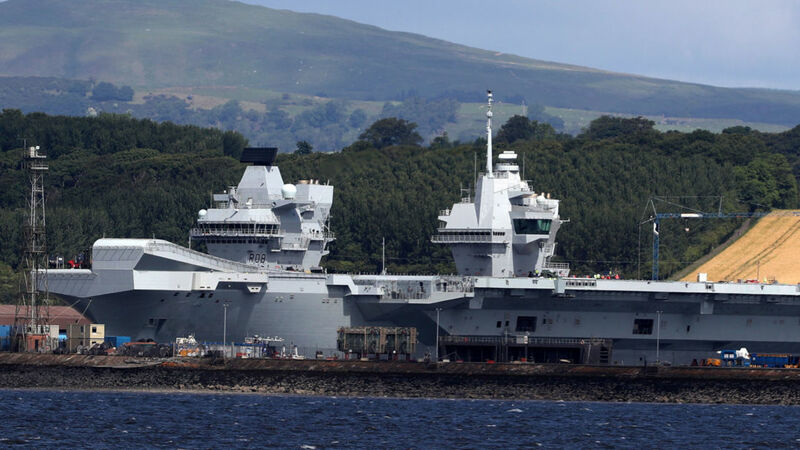 HMS Queen Elizabeth, the Royal Navy's new aircraft carrier, will leave her dock in Scotland around lunchtime to start two years of sea trials. She is named after Elizabeth the first and is the second ship to carry the name - the first was a First World War battleship. More than 700 crew are onboard, from seamen to aircraft engineers, dentists to force protection. The oldest crew member is 58 and the youngest 17 although the average age is in the early twenties. In recent weeks they have been practising drills and familiarising themselves with their new ship. Their first task will be to successfully sail her out of the basin she was built in. It will need precise calculations and nerves of steel. At high tide, she will be guided through a narrow exit in the harbour. This has been widened but still only allows 14 inches either side to spare.